Here we are, Friday eve and I don't know about you but sweater weather is over and I need to restock my spring tops. 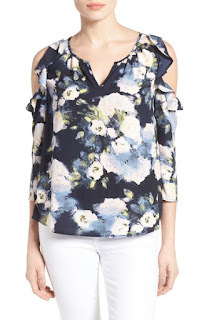 Something eye-catching but versatile for chic. 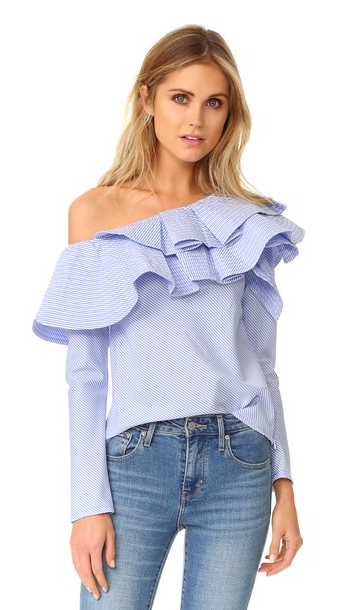 One style I'm really loving is the ruffle shoulder, ever with...yes, I'll say it, a cold shoulder detail. These colors pop but without needing neon. Oh and it's half off. So this one might be a pain to iron, but think of the statement it makes. With a pair of white jeans? Yes. Ridiculously soft. Wear it with jeans or tuck it into a pencil skirt with a statement necklace for work. I really love this print. 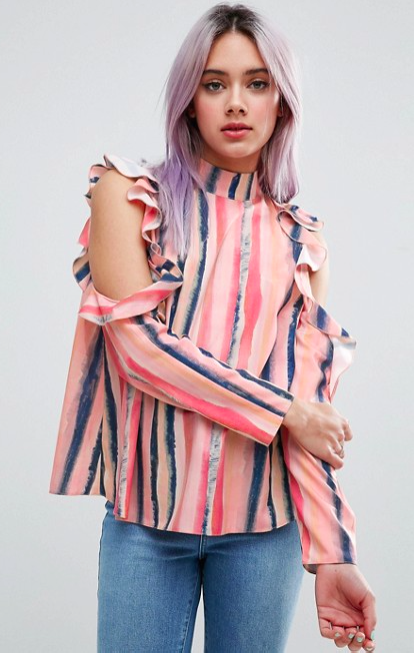 It's cool yet feminine. When looking at your warm weather wardrobe, think about adding a versatile but statement piece or two. 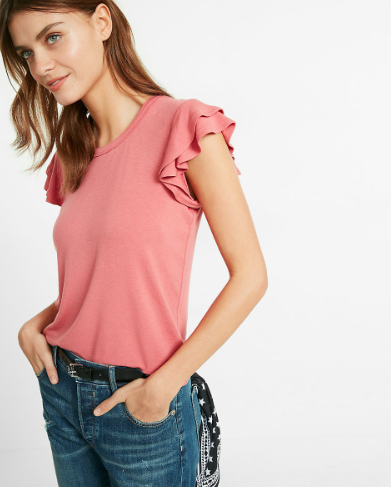 These tops fill the void.